Nearly every dollar of the $6.6 billion the state spends on Medicaid goes to providers. Cutting provider reimbursement’s by $675 million translates into an across the board rate reduction of 7 percent to 9 percent for providers, according to Quinn spokeswoman Brie Callahan. Callahan said that in the end it wouldn’t be a blanket rate cut. Some providers would see rates reduced by more than 9 percent, while others might avoid a rate cut all together. Raising the state’s cigarette tax by a dollar, from 98 cents to $1.98. The tax hike is expected to yield $337.5 million, plus a federal match of $337.5 million for that tax increase, all of which would cover the rising cost of Medicaid, according to Quinn’s office. (Springfield, IL) – Illinois’ difficulties reining in its pension costs are expected to pale in comparison to its efforts to control Medicaid costs. A new report released Monday from the Civic Federation, a Chicago-based nonpartisan policy group that focuses on state spending, predicts Illinois’ Medicaid costs will skyrocket over the next five years. (Springfield, IL) – Illinois will be facing an $800 million deficit within three years, despite tax revenue projected to grow by more than $1 billion a year. Illinois’ fiscal reality is bleak, said Kelly Kraft, the governor’s budget spokeswoman. “These projections clearly demonstrate that action must be taken to control not only Medicaid costs but also (pension) costs or all other areas of government will continue to be squeezed,” Kraft said in a statement. Quinn on Tuesday released his three-year budget projection in which Illinois in fiscal 2013 is expected to spend $33.7 billion, about $1.5 billion more than this year. 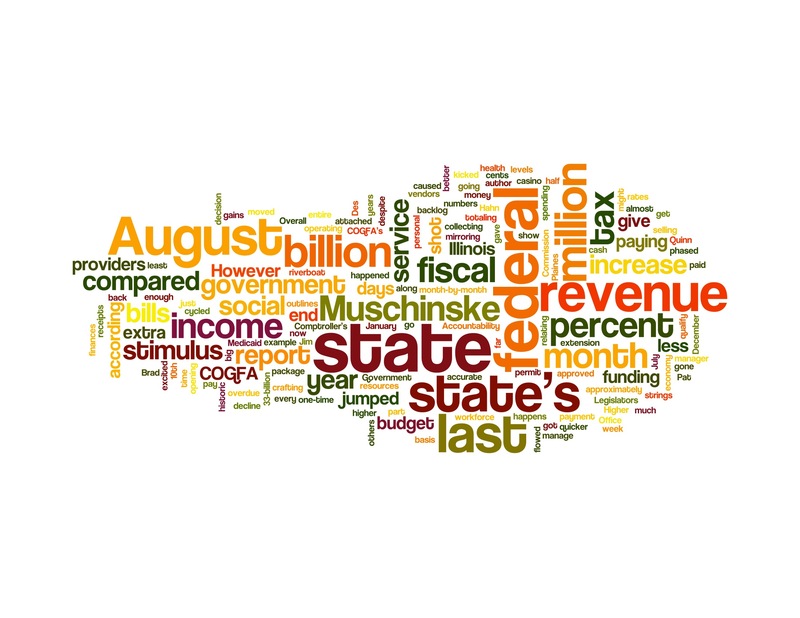 By fiscal 2015, Illinois’ expenditures will reach $34.2 billion, or $2 billion more than the current budget. The governor’s fiscal outline is part of the state’s Budgeting for Results initiative. Lawmakers created this process in 2011 to force the governor to craft a realistic budget within the financial means of the state. The majority of the additional spending will be on public employee pensions. Quinn’s own numbers project an $818 million deficit by 2015, even after holding spending flat on Medicaid, elementary and high school funding, and state government services. Illinois’ pension payment jumps $1.1 billion in fiscal 2013, from $4.2 billion this year to $5.3 billion. By 2015, Illinois will be making an annual pension payment of $5.9 billion. Republican State Treasurer Dan Rutherford said the state cannot afford a nearly $6 billion pension payment. “If we don’t respond to the spending increases built into the governor’s budget for public pensions, Illinois is going to face a major cliff,” said Rutherford. The treasurer said lawmakers are going to have to lower the pension costs for current state employees, despite the stance by Illinois Senate President John Cullerton’s office that legislation to alter current pension benefits is unconstitutional.